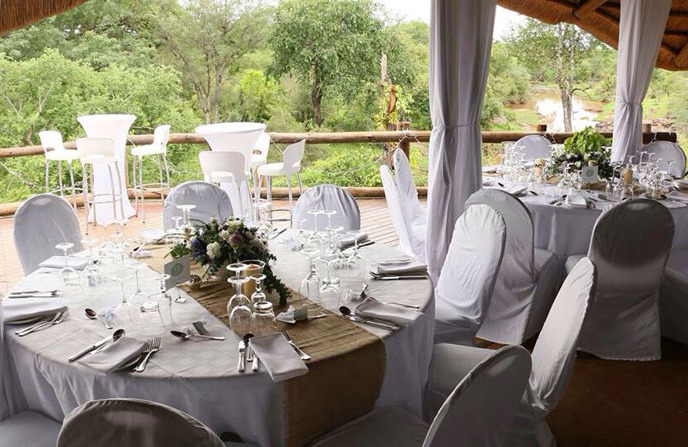 Make the most important day of your life memorable with a wedding in Victoria Falls. With a unique variety of venues, honeymoon options, and things to do, Victoria Falls makes for a one of a kind wedding destination. Choosing to get married in Victoria Falls is sure to make your special day totally unique and memorable. Not only is it a natural wonder of the world and an incredible safari destination but it's also the adventure capital of Africa. There is a wide variety of spectacular venues to choose from to cater for almost everyone's needs - from hotel gardens and riverside venues to boat cruises and islands on the Zambezi River. When planning a wedding in Victoria Falls it is important to consider the best time of the year, visas, legalities, accommodation, transport and which venue suits your budget and style. The information we have provided on this webpage is an overview of all the wedding options available from all the wedding venues and wedding companies. We don't organise weddings ourselves as this is a specialised field but there are several wedding planners based in Victoria Falls who do. They will be able to assist with these difficult decisions and arrange the simplest to the most complex of functions. Please contact us for their details. We are able to assist with accommodation and activities for your wedding party or your Honeymoon. Options are available for Wilderness or Riverside weddings in Victoria Falls - sites are available both inside and outside the Zambezi National park. Depending on the chosen location and the time of year you can have either a tented or open-air reception. "Open-air chapels" on the banks of the Zambezi River are also a popular choice. 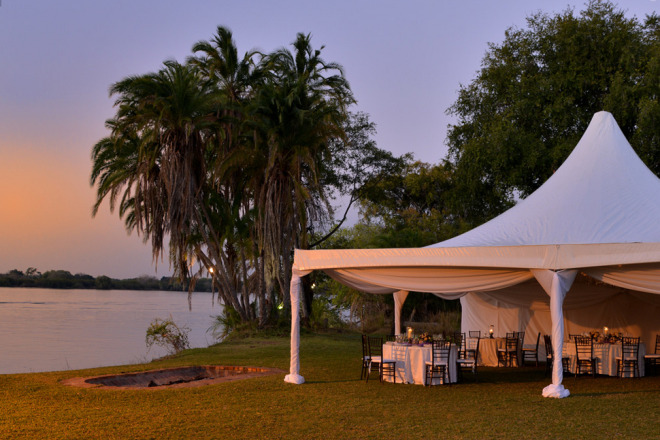 The Zambezi Explorer Waterfront is a great outdoor venue on the banks of the Zambezi River with space for up to 200 guests. It has beautifully manicured lawns rolling down to 110m of river frontage. Just 5kms from the centre of town, it is a perfect location with minimal hassle. You can also choose to do a riverside and boat cruise combination for your ceremony and reception. Several buffet or plate menu options are available to ensure that you have the quality and variety that will enhance your occasion. 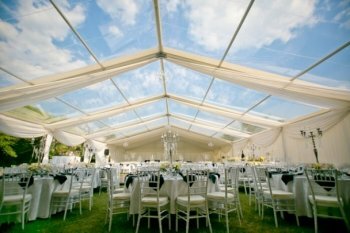 An elegant Marquee or Bedouin style tent can be erected and the decor can be done by the site owners, you or your own wedding planners. Electricity and flushable toilet facilities are on site and the site is disable friendly. For those who prefer more of a "wilderness" setting, there are a couple of sites inside the Zambezi National Park along the river. These prime sites are not easy to get and you would have to contact one of the local wedding planners for details on what is available and how they can accommodate you. There are generally no permanent facilities onsite but your wedding planners will arrange and bring everything in for you. There would be no manicured lawns but these sites have a true African Safari feeling on the banks of the Zambezi. 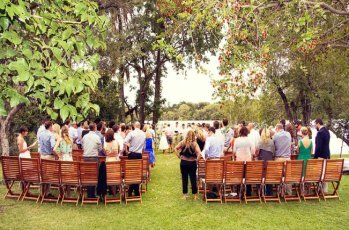 Closer to town the Big Tree River site offers another wedding venue for up to 300 guests amongst a grove of trees on the edge of the Zambezi river. The Luxury Safari Lodges situated outside of Victoria Falls town such as Victoria Falls River Lodge, Gorges Lodge, Elephant Camp, Stanley and Livingstone and Imbabala, also all offer stunning locations for a wedding in Victoria Falls either in the bush or by the river but these are generally for smaller parties of up to 20 guests because of the size of the lodges. 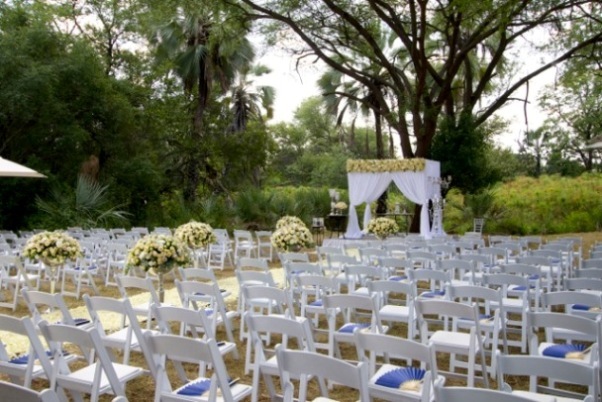 There are a several fabulous wedding venues at the hotels in Victoria Falls. Examples include the Victoria Falls Hotel, Victoria Falls Safari Lodge, Elephant Hills Hotel, Ilala Lodge and A’Zambezi River Lodge. Each one of these has its own uniqueness and its best to discuss with your wedding planners as to which one suits your needs best. It is important to note that some hotels may require that you and your guests stay there in order to have full use their facilities. 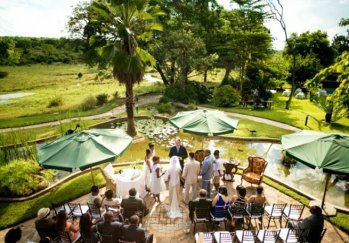 In Zambia, the Royal Livingstone Hotel, David Livingstone Safari Lodge and Tongabezi offer excellent wedding venues. 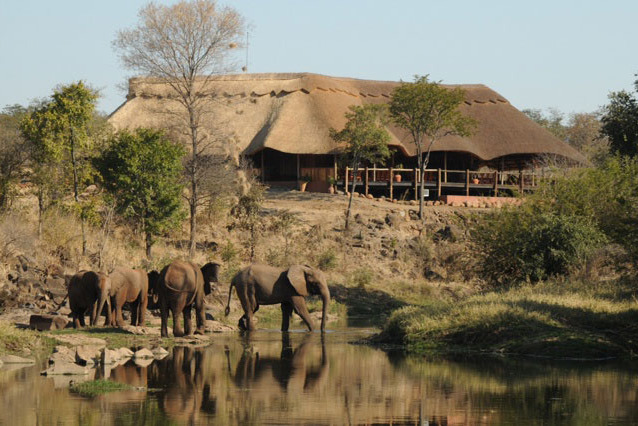 These hotels are pricey, but the locations are fantastic - right on the banks of the Zambezi River. Along the Zambezi River itself, there are a several islands that one can pick from, for a totally unique and intimate wedding in Victoria Falls. Surely one of the most iconic locations in the world that one can get married is Livingstone Island. This island is located on the very lip of the Victoria Falls about midway along and was the spot where David Livingstone first viewed the Falls in 1855. Breathtaking views of the Falls, river, gorges and spray surround you. This location is accessed from the Zambian side and guests are transported to the island by boat. The island is closed during the very high water months of March, April, May and June (variable year to year). Bear in mind that there is a maximum of 16 people allowed on the island at any one time. Kandahar Island is a peaceful and secluded location 12kms upstream of Victoria Falls, ideal for early morning and afternoon ceremonies, and suited for between 20 and 100 people. Various other islands such as Princess Elizabeth island and Palm island are available according to the seasons and the size of the wedding. 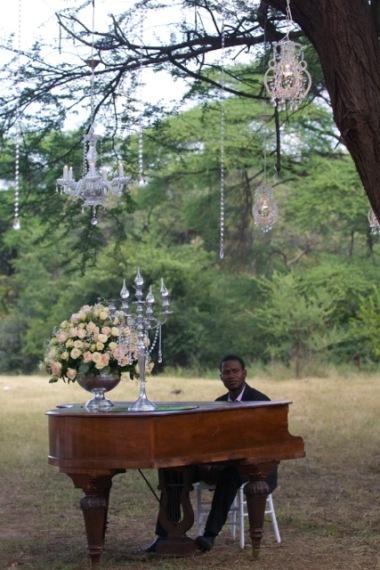 All of them are beautiful and will offer a most unique venue for a Victoria Falls wedding. It is best to liaise with your wedding co-ordinators as to which island will suit you best. 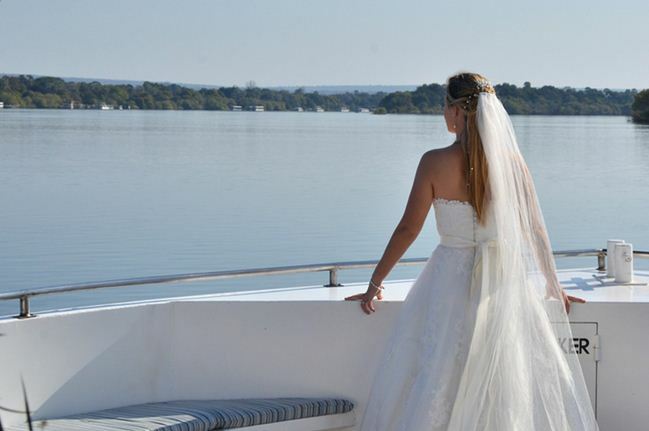 A boat cruise on the Zambezi River provides a truly romantic wedding setting with exceptional scenery. The reception or ceremony can be on land or on water and your wedding planner will be able to advise you on the wedding packages that are available. There are several different size boats available depending on your needs and the size of your wedding party. The largest catering for up to 150 passengers while the smaller ones can cater for just two people who have decided to elope. For an occasion with the ultimate backdrop getting married in the Rainforest with the Victoria Falls in the background is about the closest you will ever get. Because of the location only the wedding ceremony can take place within the rainforest - the reception would need to be held elsewhere. You have to also be aware that this is a public area that cannot be cordoned off for complete privacy. One disadvantage is there may be too much noise from the thundering sound of the Victoria Falls and the never ending spray can also cause obvious problems. The ideal sized wedding is up to about 60 people although 120 can be accommodated. In a thatched restaurant perched on the very edge the Batoka Gorge, you can have a truly memorable wedding with an incredible view. The Lookout cafe, located less that 1km from the Kingdom and Victoria Falls hotels, is not too far from town but at the same time far enough from the hustle and bustle. This venue, which has full facilities onsite, can accommodate up to 60 people for a wedding but it is not for those who want to have a loud party as being near two of the larger hotels noise has to be kept to a minimum. For a wedding with a complete difference - why not go on the zip-line, gorge swing or flying fox after exchanging vows, these facilities are right onsite. The Elephant Wallow is situated within the Victoria Falls National Park, on a private concession 8kms from town, and this is where the Wild Horizons elephants reside. The Wallow has a thatched semi open-air reception area overlooking the Masue River which can accommodate up to 120 people for a wedding. The bride can opt to walk down the isle with an elephant beside her, or interact with the elephants during the photo session of the day. 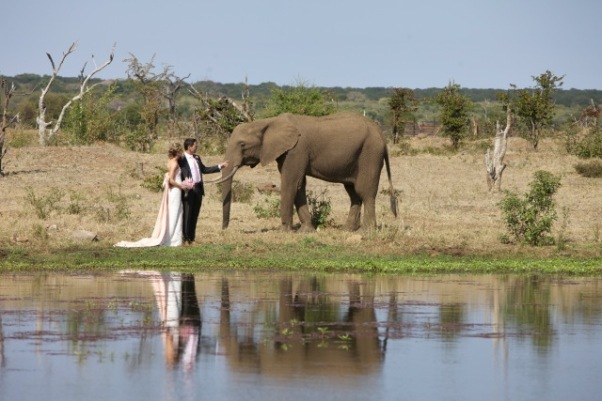 A ceremony at the top of the gorges nearby, which has phenomenal views and a reception at The Wallow is a brilliant combination for a wedding in Victoria Falls - if you can afford it we recommend spending your honeymoon at the award winning Elephant Camp located close by. It certainly is important to know the seasons and weather we have in Victoria Falls as these can have a dramatic effect on the occasion. But you must also consider the peak tourists seasons, which will have an impact on the price and availability of accommodation and facilities. For large wedding parties it is advisable to book and plan well in advance. Most of the services that you will need for your wedding in Victoria Falls can be found locally. Such as ministers, catering, equipment hire, wedding cake, transport, entertainment, beauticians and photographers are available. Your wedding planners will be able to assist you in sourcing all of these services. But Why a Wedding in Victoria Falls? 1. How many people can say that they got married at one of the 7 natural wonders of the world? Not only is Victoria Falls the only waterfall on the list, but it also happens to be considered the largest waterfall in the world. 2. Almost all of our clients agree that Victoria Falls has awesome weather. If you live in the northern hemisphere, you will really appreciate Victoria Falls climate whether it is summer or winter. Even if you choose to have your wedding in Victoria Falls during the short winter months of May, June and July the weather is still very pleasant. Read more about the climate of Victoria Falls. 3. Victoria Falls (dubbed Africa's adventure capital) has without a doubt has the best activities around. So bond with your friends, family and in-laws over a sunset cruise or fishing trip, or take a bungee or swing into the gorge to remove pre-wedding jitters or have a round of golf. 4. As small as the town is, there are still a variety of unique venues to choose from. Victoria Falls has the advantage of not being crowded and not having too much traffic (except during major festivities or conferences). You most certainly will have a wedding of a lifetime here. If you are worried about the legality of your marriage/wedding in Victoria Falls, don't. Zimbabwe marriages are recognised all over the world. 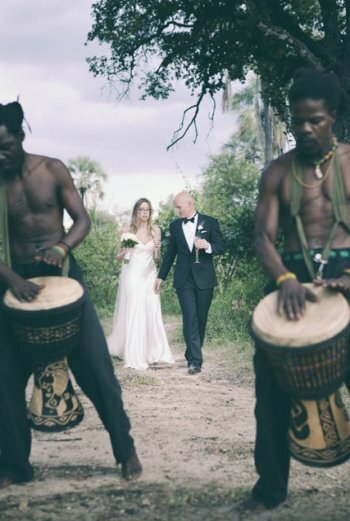 If you decide to tie the knot on the Zambian side of the Falls, Tongabezi can help you with the legal preparations and procedures to make your marriage legit. The rules are quite similar for either side. Depending on your nationality, your visas may need to be sorted out before you get here, or when you arrive in the country. If your wedding party is a mixture of nationalities, be mindful that different countries may have different requirements. See our visa page for details about this. It may all seem overwhelming but with careful planning and a bit of hard work you will get there in the end and it will be well worth it. Please contact us for details on Victoria Falls wedding planners and co-ordinators that can help you to make your wedding in Victoria Falls a spectacular one. To see questions and the answers by other visitors to this website regarding weddings in Victoria Falls click here. Read our Question & Answer article with experienced wedding planners based in Victoria Falls here. Wedding in Victoria Falls - Africa 2016 from Mad Anth'm Productions on Vimeo.